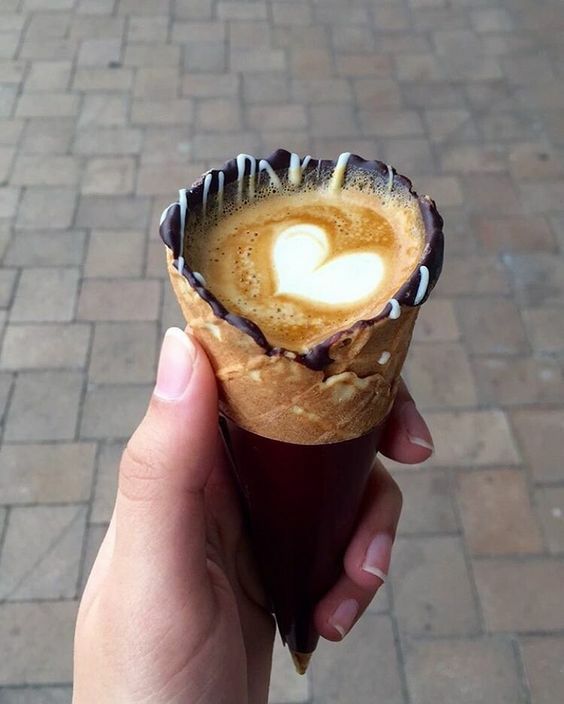 Coffee in a Waffle Cone? Thread: Coffee in a Waffle Cone? Wonder if it will catch on here? Probably. Wow, what a brilliant solution for getting rid of all those takeaway coffee cups that end up in the landfill . The ones I tasted/tested at SCAA were by a different company and had chocolate covered bottoms. They were quite thickly coated in fact. I would say it won't catch on seeing as it's a gimmick that's been around for a few years now. 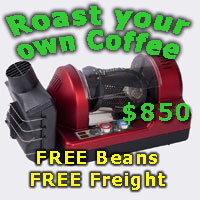 Good fun for the occasional event or other special occasion, but not sustainable. Well it's Winter here with temps heading to -30C with wind chills of -40C and another 20cm of snow this weekend so head coverings are a good thing! -10 in NZ a few times is my (happy) lower limit. If it makes you feel any better -30C isn't even close to the lower limit we see here. -10 in NZ is usually more uncomfortable than -30 in North America. I've experienced both and the higher relative humidity and incessant wind in NZ generally make for a less pleasant experience. I spent a couple of months in Colorado and it never got above freezing. -20 was a standard morning with -42 (during a storm with wind chill being factored in) being the coldest I experienced. The longer you're in it the less bearable it is, but I'd still take the dry cold and more stable weather of a Colorado Rockies winter over a southern NZ midwinter any day. Never been to the US but presumed that their -20 to -40C temps would be harder to live with than NZ winter temps. It's not just about the numbers it seems. We were in Queenstown mid winter last year on the Shotover River in a jetboat first thing in the morning. At about 70 kph, -10C on an icy river getting splashed in the back seat....... Our daughter copped the worst of it being in the left rear seat. She literally had icicles on her left sleeve when we stopped. It's a good reminder whenever they dare to say they are cold here. The word Shotover is enough. Got a bit off topic there. Where on earth are you living?siberia? Nah, they get even colder than we do. The coldest recorded temp in the region here is only -52C compared to Siberia's -68C (Unofficially they've seen temps of -78C.). Plus our severe cold stretches don't last as long as Siberia's do. Are you in the North East of the US JP, perhaps New York State? Nope! The coldest New York State has recorded is -46C.